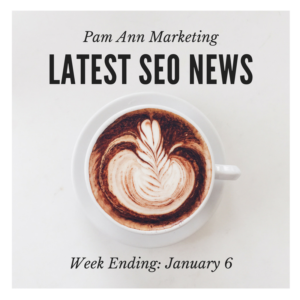 A Google algorithm update likely occurred this week, according to data from various tracking tools. Google’s ongoing legal troubles in Europe have concluded with the EU issuing an outrageous fine. Notable changes to Google’s search policies have been introduced – some of which were voluntary and others that were forced on the search giant. Google also made a change to its advertising policies, introduced a new mobile testing tool, and is offering early access to some of its newest products. 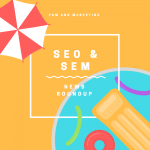 More details about these stories are included in this week’s SEO & SEM news roundup. According to data from a number of tracking tools, and analysis from Rank Ranger, a significant update to Google’s search algorithm likely occurred on June 25th. If you haven’t noticed it yet, it could be because you’re not looking hard enough. Rank Ranger’s analysis indicates pages ranking in positions 6-10 have been hit the hardest by this update. That means if you’re only tracking rankings for pages in the top 5 positions, this update could have gone unnoticed. A tracking tool called SEMRush gave this update a score of 9.5, which is the highest score it has given to any Google update all year. There is no discernible trend with respect to which types of pages are being targeted. It appears that pages for businesses in the food & beverage industry have been hit harder than most, followed by health & fitness, gambling, retail, and travel sites. Canada’s Supreme Court has ordered Google to remove a particular set of search results worldwide. This ruling stems from a claim by a Canadian technology company that another distributor was stealing trade secrets and manufacturing competing products. Google was ordered to remove all search results for the law-breaking company worldwide. Why? Since Google’s search results are accessible worldwide, the court believes removing search results in Canada alone would not solve the problem. This sets a potentially dangerous precedent, as Google has never before received a court order to remove search results in all countries. This could change how legal disputes over search results are handled in the future. Google’s mobile-first index isn’t due to roll out until next year, but it’s not too early to prepare for it. Gary Illyes, a Google Webmaster Trends analyst, has been tweeting out advice on how to prepare for the forthcoming change to Google’s index. In one of his more recent tweet, Illyes recommends going through mobile pages and making sure they are free of noindex tags and N1 redirects. A noindex meta tag is a directive for Google to not index a page in search results. So if you or your clients have separate mobile and desktop pages, make sure the mobile pages are able to be crawled and indexed. An N1 redirect is another name for a faulty redirect. This refers to pages that redirect users to another page they didn’t intend to visit. For example, some site owners redirect all mobile traffic from desktop pages to their mobile homepage. That’s not the page users intended to visit, and it will also prevent Googlebot from being able to crawl the mobile page since it’s being redirected to the homepage as well. When using redirects from desktop pages to mobile pages, always redirect to an equivalent page. Google’s legal troubles continued this past week, as the European Union slapped the search giant with a monumental fine for “abusing search engine dominance.” The EU claims Google is intentionally ranking its Google Shopping service ahead of competitive services. Many industry analysts are calling the fine outrageous – not only due to the dollar amount, but because they don’t believe Google has done anything wrong. Results for Google Shopping rank within the paid listings. That means, theoretically, competitors could rank ahead of Google Shopping if they outbid the company for the top position. There are varying opinions as to whether or not that’s fair. Regardless of what anyone thinks, the fine still stands. Google has been given 90 days to change its search practices in Europe or else it will face further penalties. Another change to Google’s search policies occurred recently, this time it was at the company’s own discretion. Google may now remove content from search results if it contains “confidential, personal medical records of private people.” Such records will only be removed at the request of an individual, Google will not be actively seeking out personal medical records and removing them. Rather, content will be removed on a case-by-case basis. If the information can be found on a government website, Google will not remove it. According to Google, most sites lose half their visitors while waiting for a page to load. In an effort to combat this problem, Google updated its Test My Site tool to show how many visitors you’re driving away as a result of how long it takes your pages to load. The tool will also show your mobile page speed, how your business compares to competitors, and how to speed up your site. 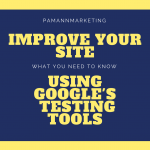 To learn more about this tool, and others like it, see our new guide to Google’s free testing tools. Google has decided to stop using information in Gmail to target personalized ads within Gmail itself. Ads will still be served in Gmail, but they will be less targeted going forward. There are no other Google ads that use information in Gmail to deliver targeted advertisements, so Google made this decision in order to keep Gmail ads in line with its other ad units. Google’s YouTube celebrated a milestone this past week, as it revealed there are now 1.5 billion logged-in users accessing the service every month. That’s not even counting the number of people who visit YouTube without being logged-in, so the total number of monthly active users could be even higher. YouTube shared more data in its announcement, stating that mobile users spend an average of 1 hour per day watching YouTube videos. While that may sound like a decent number, the company’s fastest growing medium is on good ole television. The number of people watching YouTube on their TV is growing 90% year over year. Consider these metrics if you’re thinking about adding more video to your marketing campaigns. Google is giving users the opportunity to sign up for early access to experimental products from its Area 120 incubator. Area 120 is where Google employees can spend 20% of their time working on projects that are not directly related to their job. Several of Google’s most important products have been created as a result of its “20% rule,” including Gmail, Google Maps, Google News, and AdSense. Who knows, you may end up getting early access to Google’s next breakthrough product. It’s not known what is coming out next from Area 120, but you can be one of the first to know by signing up here. A significant Google update likely occurred on June 25. Google found itself in a hot mess of legal trouble. YouTube is growing at a considerable pace. Google is no longer using information in Gmail to target Gmail ads. 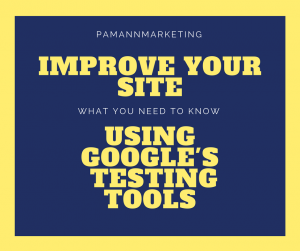 There are new updates to Google’s Test My Site tool. Gary Illyes is tweeting out advice regarding how to prepare for the mobile-first index. Users can sign up for early access to projects from Google’s Area 120 incubator. 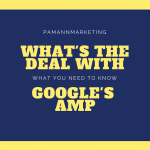 If you work on the web in any capacity, or are even just a user of the web, it’s likely you’ve been acquainted with Accelerated Mobile Pages (AMP). They’re in Google’s search results, they’re in your Twitter feed, they’re being written about in tech blogs. Unless you’re an avid follower of tech news it’s possible you don’t know what they are, why they’re suddenly all over the web, or how to apply the technology to your own website. This article will explain all of that. In this post we’ll take you back a few years to the origins of AMP, then fast forward and get you up to date with what you need to know today. In the end we trust you’ll have a thorough understanding of AMP, and the resources you may need for finding further information. AMP is an initiative championed by Google based on the idea that the mobile web should be faster. According to Google, mobile visitors start leaving a site if it takes more than 3 seconds to load. AMP was designed to help make instantly loading web pages a reality for more web publishers. How is it possible to load web pages so fast? AMP makes it possible in a couple of different ways. One of the most noticeable ways is how it limits developers to only use simplified coding. It also doesn’t permit the use of Java. You’ll notice when you land on an AMP page it looks like a stripped down version of a regular page. AMP pages can be designed by manually coding them according to a strict set of requirements. Another way they can be designed is through using templates or WordPress plugins. After designing an AMP page, you can ensure it meets requirements using this testing tool. Another reason why AMP pages load so fast is because they’re hosted on a separate server from the publisher’s original server. Where a web page is hosted can affect load times dramatically, so being able to control where AMP pages are hosted can ensure fast loading. What are the Benefits of Using AMP Pages? AMP pages are designed to primarily benefit the end-user, but there are also benefits for publishers. By providing a faster mobile web experience for visitors, publishers may see favorable changes to metrics like bounce rate, time on site, and pages per session. This could lead to more conversions, more sales, and so on. 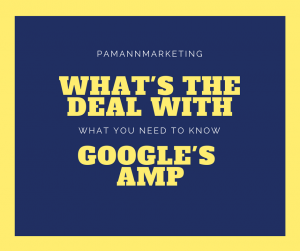 Google has explicitly stated AMP is not a ranking factor, but there are other search benefits to consider. AMP technology increases mobile friendliness and page speed, which are ranking factors. AMP pages also ranks favorably in Google’s news carousel, and stands out in search results with a distinctive AMP icon. However, AMP is far from perfect. Improvements have been made over time, but there are still limitations. For some website owners, AMP pages are too stripped down for their own good. A reason why some publishers haven’t adopted AMP technology yet is because of the limitations that still exist. For a long time after first being introduced, AMP pages didn’t even support conversion forms. Support for conversion forms has since been added after popular demand, but that’s an example of one of the hurdles AMP had to overcome. One of the greatest limitations holding publishers back today has to do with ads. The stripped down nature of AMP pages allows for fewer ads, which can hurt revenue. Google has been working on finding a balance between pleasing publishers without affecting user experience. Now that you’re familiar with the background of AMP, let’s take a look back at some of the major news stories concerning AMP. From its introduction in 2015 until now. At the time only 30 publishers were on board, which pales in comparison to the amount of publishers on board today. In late February 2016, four months after AMP pages were initially introduced, Google began to surface them in search results. They were surfaced, and still continue to be surfaced, in the form of a “Top Stories” carousel at the very top of Google’s search results pages. Just days after rolling out AMP pages in search results, Google Webmaster Trends Analyst John Mueller had to explain that AMP is not a ranking factor. The company has not changed its position on AMP as a ranking a factor since making that statement in February 2016. In April 2016, Google announced it would start to surface AMP content in Google News and highlight it with the familiar lightning bolt most of us probably recognize today. In July 2016, Google addressed one of AMP’s greatest limitations when it announced AMP for ads and landing pages. This technology would start to allow ads and landing pages to load as instantly as the other content on AMP pages. AMP pages finally made their way to prime time in September 2016, when Google started indexing them in the regular set of organic search results. This created a lot more exposure for AMP content and started to encourage more publishers to come on board. In an effort to help developers and site owners create error-free AMP pages, Google rolled out a testing tool in October 2016. It’s similar to Google’s PageSpeed testing tool. You simply submit a URL, Google will analyze the page and tell you whether it’s valid or invalid. If it’s invalid, the tool will explain how to fix the errors. Another limitation of AMP pages was addressed in November 2016 when it was announced conversion forms could now be embedded in AMP pages. This was a fairly significant development since a lot of websites capture lead data via conversion forms. A fury of new developments for AMP were rolled out throughout 2016, so let’s look ahead to where that brings us today. AMP is still less than two years old. On its one year anniversary, in October 2016, it was announced there were 600 million AMP pages across 700,000 domains. Most recently, Google announced in May 2017 that there are over 2 billion AMP pages on the web across 900,000 domains. That’s a considerable increase in adoption in just 6 months. It was also announced in May 2017 that AMP pages have started to load twice as fast when landed on from Google Search. This could potentially encourage even more publishers to come on board. Another thing which may appease publishers is Google’s new AMP ads, announced in May 2017 as well. These are brand new ad units designed specifically for AMP pages. The new designs have the potential to draw more clicks than the ads publishers were previously limited to using. Now you know all the vital information about AMP, and you’re caught up with the latest news. If you’re on the fence about whether or not to adopt AMP technology for your content, think about whether or not it makes sense for your website’s goals. For example, if your website thrives on ad revenue, you may be taking a risk by creating AMP versions of your pages. The writing on the wall says AMP has momentum and it’s not going away anytime soon. Google’s gamble seems to be paying off thus far. We’ll see what the future brings for the still-fledgling web technology. Google started off the new year by teasing some new innovations it’s about to unveil at the annual Consumer Electronics Show (CES) in Las Vegas. Google also made some notable updates to its iOS app, while Bing added health & fitness features to its search results and unveiled its top 5 digital marketing search terms of the year. Google’s voice assistant, simply called Google Assistant, is about to make its way to Android TV on supported TVs and set-top boxes. With the simple command of “OK Google” you’ll be able to get Android TV to do everything from play your favorite movie to tell you how long your morning commute is going to be. Google Assistant will first be coming to the NVIDIA SHIELD device, followed by TVs running Android 6.0 or higher. The company also mentioned Google Assistant will be coming to smartwatches running Android Wear 2.0 later this year. For more details about the expansion of Google Assistant, you’ll have to wait and see what the company unveils at CES this weekend. Google’s iOS app now has a built-in YouTube player. When videos show up on the front page of search results they can be played directly in the app itself without having to open the separate YouTube app. The company has also revamped restaurant searches, offering the ability to view a restaurant’s menu without having to open another page. Keeping in line with the concept of having users do more within the Google app, hotel searches have been updated with pricing and booking options. Now you can use the app to compare prices across a range of booking websites. Google is inching ever closer to being the one-stop-shop for everything you’re looking for on the web. Just in time to help keep people on board with their New Year’s health & fitness resolutions, Bing has added a couple of new search features related to diet and exercise. Searching for either “workouts” or “exercises” will return a carousel of videos teaching you how to perform the exercise. The search results can be narrowed down based on difficulty, target areas, equipment used, and more. With diet and exercise going hand-in-hand, Bing has also revised its user interface for food searches. You can search for the name of a specific dish, such as “lamb stew”, or search based on dietary needs such as “low carbs”, and get a similar carousel of instructional recipes. Want to know how many calories are in the food you’re eating? Bing has you covered there as well. Search for “how many calories are in X” and Bing will instantly return the answer on the front page of its search results. Bing has revealed the top US marketing keywords searched for in 2016, according to its own data. As you can see from the top 5 list below, new technology such as personal assistants and virtual reality were at the top of most people’s minds. Search marketing has a prominent spot on the list, and there’s no love lost for tried-and-true email marketing. We’re going to see a lot more use of Google Assistant in the new year, which means a lot more voice searches being conducted. Google’s iOS app is letting users do more without having to open other external apps or pages. Bing is helping searchers out with health and fitness, and also shared it’s top 5 marketing search terms of the year. It’s shaping up to be a year full of new technologies for search marketers. Are you ready for the ride? 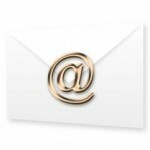 App developers: Do you have an email marketing plan? Do you only plan to develop one version of your app and never improve it? Do you intend to retire after your first app? Do you know how many customers you’re losing (or how much money) because you don’t have an email marketing plan? If you don’t collect email addresses from your app users, you’re missing out on an opportunity to maintain and grow your customer base. 1. Often users download an app and try it once or twice but forget about it or worse: delete it off of their device. Email marketing can not only be used to remind the customer of your product but to get valuable feedback needed for you to improve your product. 2. According to C|net Apple and Android both have about 700,000 applications available in their respective stores. That’s overwhelming. The app developer that collects email addresses and uses them to stay top-of-mind with their users will rise up among the masses, and will avoid the “what-was-the-name-of-the-app-I-downloaded-last-week” syndrome. 3. Unless you plan to build one app and retire, you wouldn’t want to reinvent your customer base when you build your next product. Don’t lose touch with your existing loyal fans because you failed to ask for an email address upon their first download. Ask for the address so that you can follow up with a strategic marketing plan – for both your current and future products. Email marketing is a simple way to invest in your company’s future. In regular updates you can inform your customers of ongoing developments, remind them of the value of your app, or send surveys to ask for their feedback. All of this contact keeps your brand’s name at the front of their memory increasing the likelihood they’ll continue to use your app (or give it a second try), download another from your product line, and tell their friends. Are you an app developer? Share your experience with email marketing in the comments below.